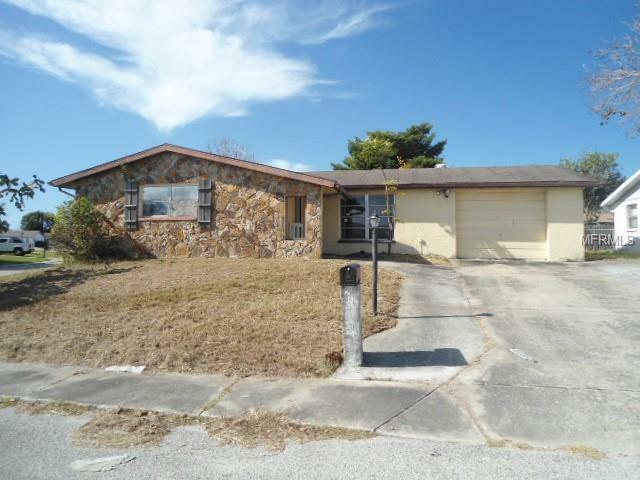 Corner lot location, three bedroom, two bath home with a one car garage. This home features an eat in kitchen and family room with ceramic tile flooring, carpeted living room, master bedroom suite, and a screen enclosed lanai. Search auction site for details & pre-auction offer opportunities. Decisions may take 1 week. Contact agent or auction vendor directly for info. Five percent buyer premium paid at closing. Bank of America employees, spouse or domestic partner, household members, business partners and insiders are prohibited from purchasing. If occupied property, inspections not available - sold as-is.